October 2018. 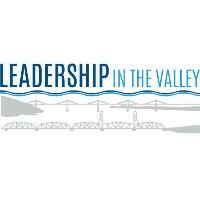 The Greater Stillwater Chamber of Commerce is pleased to announce the launch of Leadership in the Valley Program (LITV). The LITV program is designed to bring emerging and existing leaders together who welcome the opportunity to expand their involvement in community affairs and are willing to explore new leadership responsibilities in the community, enhance and grow their personal leadership skills, form beneficial professional relationships, stimulate an understanding of the forces and trends affecting the area, and become involved with a community project. “According to the US Chamber of Commerce, sixty-six percent (66%) of Chamber of Commerce’s across the country offer leadership programs, and currently the Stillwater area does not offer one; yet we have so much to offer.” Our region is the home of two prisons, a hospital, the St. Croix River, excellent law enforcement, great schools, numerous non-profits, diversity, arts and culture, Washington County Fairgrounds, several manufacturing companies, many small and large businesses, wineries, breweries, two historic bridges and much, much more. In addition, the City of Stillwater is the county seat for Washington County and the birthplace of Minnesota. “Residents are passionate and proud to live in the valley and strive to make it a better place to live,” says Robin Anthony the Executive Director of the Chamber. Established and new businesses continue to look for collaborative opportunities to strengthen their community connections, to promote their business, and to provide a means to give back to their community. “This program fits perfectly in our culture and community” states Anthony. The LITV program will consist of a nine-month commitment, one-day a month, with day-long sessions and requires a personal investment to the community and LITV classmates. The curriculum design of each program day session includes a theme with topics such as health and human services, diversity, regional economic development, community effectiveness, education, public safety, government, arts and culture, agriculture and the environment; with a leadership component included with each session. The LITV Steering Committee will also require the students to participate in a community project during the 9-month program. Students will break into smaller groups and throughout the nine-month leadership program will meet independently to participate on a community project that they will present at graduation. Students will make a difference in the community by giving back, learning, and becoming a better leader both personally and professionally. Participants will be exposed to the challenges, opportunities and vital issues affecting the valley. The Greater Stillwater Chamber of Commerce serves cities from Marine on St. Croix to Afton, Bayport, Lake Elmo, Stillwater and all the townships in the region. We invite all residents and businesses an opportunity to apply for the LITV program. The LITV program will begin accepting applications in March of 2019 and the first leadership class will begin their program in September of 2019 with the final class and graduation May of 2020. More information on applying can be found at the www.greaterstillwaterchamber.com website.